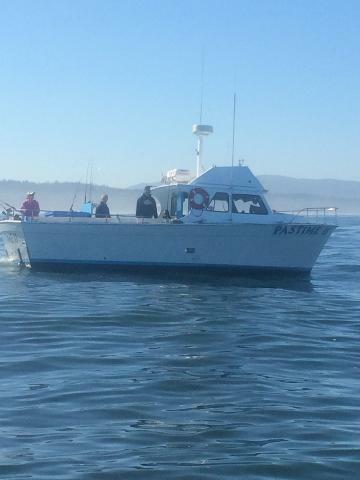 We are the home of the finest deep sea fishing on the Oregon Coast. 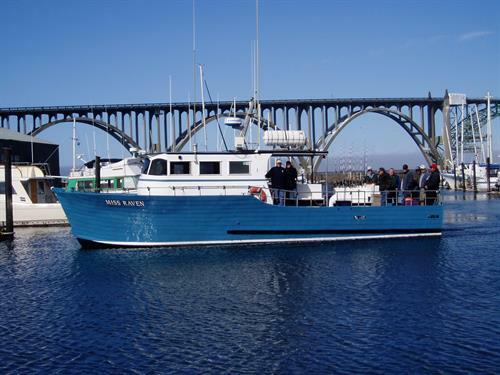 Come fish with us aboard the ''Miss Raven,'' ''Umatilla II,'' "Pastime II" or "Ospray" for an unforgettable day on the beautiful Pacific Ocean. We specialize in year round 5 to 12 hour Bottom Fishing and Crab Combination trips, featuring fantastic Lingcod fishing opportunities. Our Oregon Whale Watching trips give you a fantastic opportunity so see these gigantic, gentle creatures ''up close ''.... they often come within a few feet of our boats. Come stop in for a visit at our store, located just across the Bay Bridge at South Beach Marina. We have acres of Free Parking, an RV Park, Rental Boats and Crab Rings for a fun day on the bay. We also have groceries and a Crab Cooker for your Oregon coast crabbing, and all your Bait and Tackle needs. Visit Newport Marina Store and Charters for Oregon charter fishing, fishing in Newport Oregon, Oregon deep sea fishing, Oregon whale watching, Oregon salmon fishing, Oregon coast crabbing, oregon adventure fishing, Oregon sport fishing, Oregon tourism fishing, Oregon surf fishing, Oregon tuna fishing, Oregon halibut fishing and oregon whale watching. 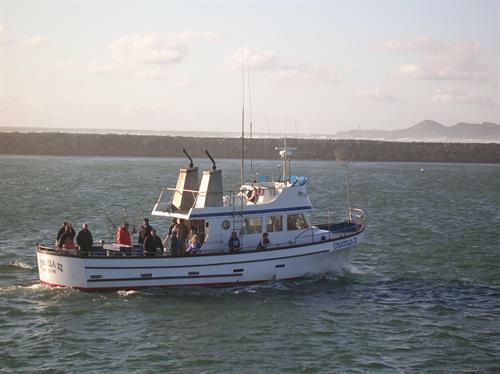 Visit us for all of your oregon coast deep sea fishing adventures!